Education Room next to Hackney Archives. 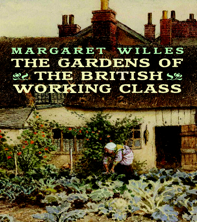 We are delighted that Margaret Willes has agreed to talk on aspects of her book The Gardens of the British Working Class (Yale 2014). Refreshments will be served. Please RSVP, so we have an idea of numbers, to archives@hackney.gov.uk or 020 8356 8925.